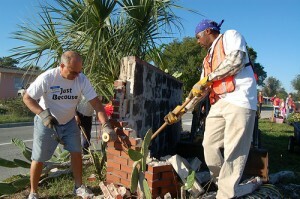 God has done amazing things during our “WALL” Outreach on November 5, 12 & 19. The Holy Spirit led us to do an outreach in “Our Jerusalem” (local area), and He led us to Leisure Lakes, a community of 300 homes. He said we’d reach the community through the kids (200 showed up for the Block Party). He led us to work with other churches; The Tabernacle, Living Sanctuary, Restoration Fellowship, and F.O.B. all teamed up. What a blessing! We blessed Lesiure Lakes with an act of kindness – tearing down the crumbling entry wall, and replacing it with a landscaped entry. Plus trimming entry and median trees and bushes. We blessed them again with a Block Party! We provided free food, clothes, and hair cuts. We also had children’s stories, bounce houses, a fire truck, and a prayer tent. It was awesome! 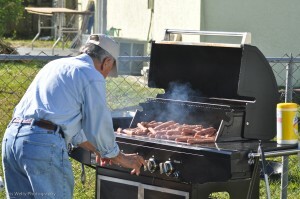 There were approximately 100 workers from the churches and 300 people from the neighborhood attended. Anita Gerbig, the Event Coordinator, along with Ken Wall, arranged a Jerico Walk around the Neighboorhood for seven straight days… blowing the shofar on the last day. All of this was led by God through consistent prayer. 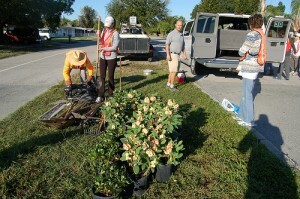 The third segment of our outreach was on Saturday, November 19… Adopt-a Block! We went into the neighborhood with other churches and ministries to begin regular monthly neighborhood walks to establish and build relationships. God is great! And greatly to be praised! If you are interested in this or participating in other outreaches, please send an email to wesknadle@verizon.net.